Welcome to the world of Lemuria. Thousands of years ago, there existed a continent called Lemuria, the mountaintops of which still remain to this day as the Hawaiian Islands. This was a land whose people walked in the fullness of the Creator’s love, who cherished and celebrated all that the Creator had provided, and who were indeed wise and benevolent caretakers of our Mother Earth. Allow yourself to be guided through the magical world of Lemuria by Master Guide Kirael through the mediumship of Kahu Fred Sterling as he relates his own recollections of the land of Lemuria. Kirael: Lemurian Legacy for the Great Shift is the return of the Lemurian vibration of the Creator’s love to our Earth plane and the re-awakening of the lights of creation now in human form who have come to experience this great shift. "Within us is an ancient memory often dismissed by a world bloated with information yet starved for wisdom. 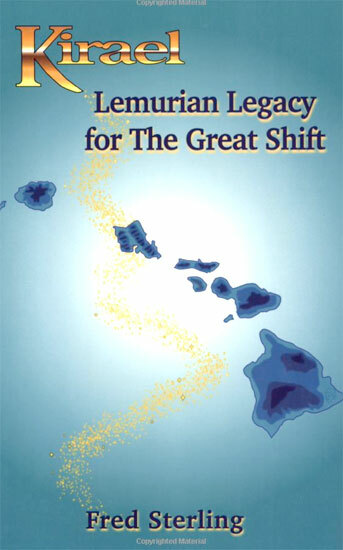 Kirael: Lemurian Legacy for the Great Shift invites us to re-member ourselves once more."